The U.S. Federal Aviation Administration is expected to announce this week rules for the commercial use of drones, but the new regulations will limit their flights to daytime and to within the line of sight of operators. The specifics of the rules, which will allow drones weighing about 50 pounds, could come as soon as Tuesday, The Wall Street Journal reported, quoting industry officials. 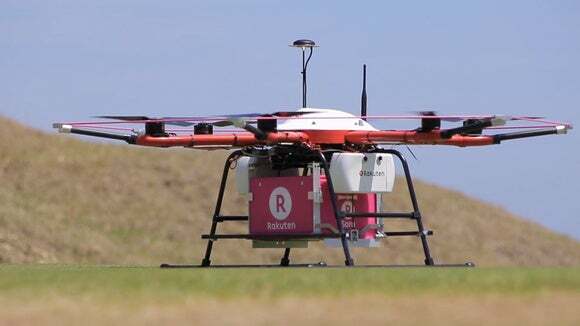 But they are unlikely to please some proposed commercial operations of drones, which would like the aircraft to be allowed to operate at nights and outside the operator’s line of sight. The FAA had proposed in February last year draft rules, which would allow commercial drones, also known as unmanned aircraft systems, to operate, though under restrictions such as a maximum weight of 55 pounds (25 kilograms), flight altitude of a maximum of 500 feet (152 meters) above ground level, and rules that limit flights to daylight and to the visual line of sight of the operators. FAA Administrator Michael Huerta said in January that the much-delayed rules would be finalized by late spring. “By late spring, we plan to finalize Part 107, our small UAS rule, which will allow for routine commercial drone operations," Huerta said at an event in May, reiterating the proposed timeline. Perhaps recognizing that its rules need to evolve quickly with regard to the rapidly changing technology, FAA said in May it was setting up a long-term advisory committee, led by Intel CEO Brian Krzanich, to guide it on the integration of unmanned aircraft systems in the national airspace. The FAA has already been permitting as exemptions some experimental uses of drones. There have been concerns that the unfettered use of drones, particularly by hobbyists could have safety implications after reports that some of these drones were found flying close to aircraft. Some civil rights groups and legislators have also raised privacy concerns about the use of drones, including by businesses. The National Telecommunications & Information Administration released in May a list of voluntary best practices on personal data collections by drones that it said were arrived at in consensus by drone organizations and companies like Amazon and Google’s parent Alphabet. New safety rules in the Federal Aviation Administration Reauthorization Act of 2016, passed by the U.S. Senate in April, propose a pilot program to develop and test technologies to intercept or shut down drones when they are near airports. To avoid conflict between the variety of laws enacted by the states and federal regulations on drones, the bill has proposed that the FAA rules on drones get preemption over local and state laws. But some legislators are expected to oppose the rule that will prevent the states from making laws on drones as the bill goes to the U.S. House of Representatives.